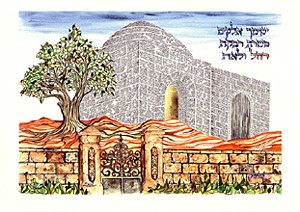 This beautiful print, signed by the artist, was created and printed in Jerusalem. 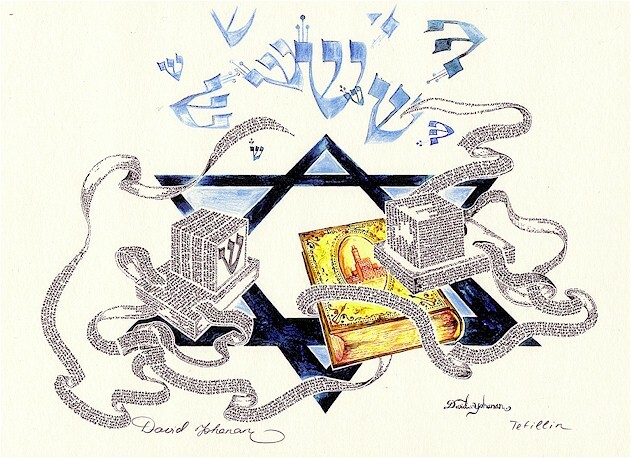 We see a pair of tefillin (often given as a gift on a boy's Bar Mitzvah) and a sidur with David's Tower on the cover. 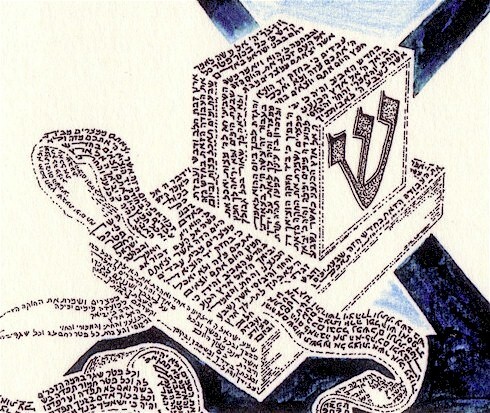 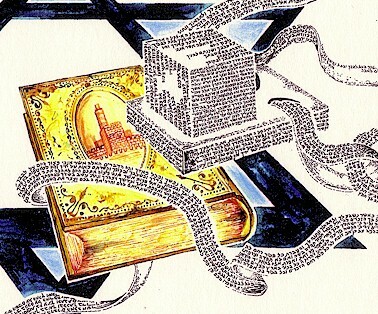 Above is a collage of the Hebrew letter shin which is the first letter of the name of God that appears on the tefillin. 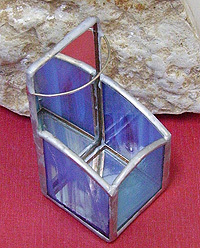 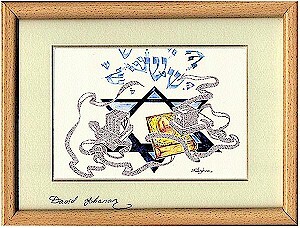 This is a beautiful Bar Mitzvah gift or a gift for anyone who appreciates fine Jewish art.